Philippines: northern part of Luzon. This taxon has not been collected (and/or recognized in the field) since David de Laubenfels described it in 1978 except for two collections by him a year later in 1979. Consequently it is still only known from four localities. Either new collections or a thorough examination of (fertile) existing herbarium specimens are necessary to establish how common or rare this species is. 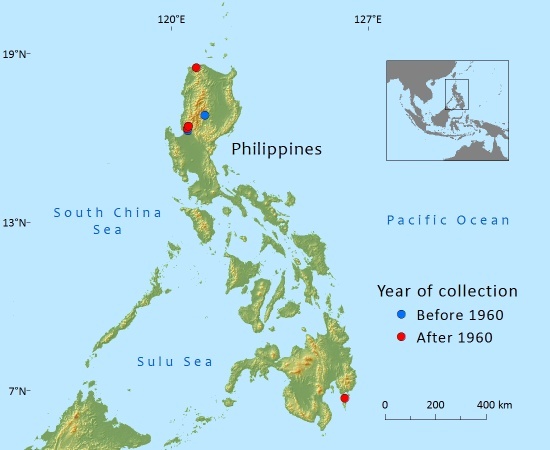 The dot map (though small) in Flora Malesiana (de Laubenfels, 1988) shows five dots, including one in the far north of Luzon. It is not clear (explicit) on what these are based, as all the known collections (no more than 8 in various herbaria) are from a much more restricted area than the one suggested by this map. The extent of occurrence is estimated to be 1619km² with an area of occupancy estimated at 64km². Both estimates are based on a few herbarium collections. Based on the known specimen collections in herbaria, this species occurs in four localities only. A decrease in the population is inferred from satellite maps showing deforestation in the general area of those localities. Occurs as a scattered tree in tropical montane, evergreen cloud forest ("mossy forest") at 2000–2100 metres aboce sea-level. In the Philippines, the wood of this species is used in the construction of small aeroplanes as a substitute for Sitka spruce; in musical instruments for sounding boards, for tennis rackets, and for pencils. It is not known to be in cultivation. In three of the four known localities Google Earth satellite imagery indicates encroachment of human habitation and roads as well as deforestation. One locality, Mt Santo Tomas, has a road to the summit where numerous radar and telephone masts are located. This peak is also a popualr hiking destination and the slopes have largely been cleared for small scale agriculture. From this it is inferred that the species, though possibly occurring in other localities not yet known, has undergone or is in decline as the forest it occurs in is in retreat. Its use as a special utility wood also means it will be cut selectively, further increasing pressure on the population of mature trees. None of the known localities is in a protected area. 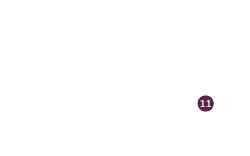 Surveys are required to establish this species distribution and to determine its status within its known localities. de Laubenfels, D.J. (1978). The taxonomy of Philippine Coniferae and Taxaceae. Kalikasan 7(2): 117-152. de Laubenfels, D.J. (1978). The taxonomy of Philippine Coniferae and Taxaceae. Kalikasan 7(2): 117-152. Fernando, E.S., Co, L.L., Lagunzad, D.A., Gruezo, W.S., Barcelona, J.F., Madulid, D.A., Lapis, A.B., Texon, G.I., Manila, A.C. & Zamora P.M. (2008). Threatened Plants of the Philippines: A Preliminary Assessment. Available at: http://www.chm.ph/index.php?option=com_docman&task=doc_details&gid=9&Itemid=59. (Accessed: 4 May 2011). A.Farjon, 2013. Podocarpus macrocarpus, from the website, Threatened Conifers of The World (http://threatenedconifers.rbge.org.uk/taxa/details/965).